Transit visas are issued provided your passport has a valid visa for the next country on your itinerary, or if visa to that country is not required then tickets for transportation via Ukraine to the country of your destination are to be presented. Transit visa does not allow its holder to stay in Ukraine; it is supposed that travel through Ukraine to the country of destination cannot exceed 5 days for one or several entries. Transit visa cannot be extended on the territory of Ukraine.Transit visas are expedient when Ukraine is a transit country of your travel itinerary. Private visa is for home stay visits; it is issued basing on original invitation from residents of Ukraine in the applicant’s name by local “Visas Permits and Passports Department” office (OVIR). Private visa holder is authorized for stay on the territory of Ukraine up to 180 days. This type of visa is good if you are going to visit your relatives or acquaintances. Business visa is for business visits to Ukraine and is issued basing on invitation of a legal business registered in Ukraine according Ukrainian regulations and a copy of State Registration Certificate of this company. Business visa holders are authorized for stay in Ukraine up to one year. Term of visa validity depends on purpose of a visit. If you are interested to study in Ukraine for a short course, training, school or university, you should apply for student visa. Most Ukrainian embassies usually accept student visa applications and issue student visas throughout the year. 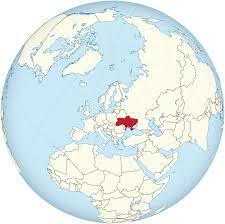 To obtain a work permit, you must have been accepted to work for a company in Ukraine. You cannot do the paperwork by yourself as an independent contractor; many of the required documents can only be provided by an employer. A work permit in Ukraine is valid for one year. This period may be extended, for which the employer is drawn to the appropriate Employment Center no later than one month before the expiration of the authorization. The Law of Ukraine on Immigration clearly provides the possibility of obtaining a permanent residency in Ukraine on the basis of making an investment of at least 100,000 U.S. dollars or their equivalent into the economy of Ukraine. For further information please contact us. Ukraine is a big country in Eastern Europe, known for its Orthodox churches, on the Black Sea coast and wooded mountains. Its capital, Kiev, has a St. Sophia Cathedral with golden domes with mosaics and frescoes of the eleventh century. Overlooking the Dnieper River is the monastery complex of the Kiev-Pechersk Lavra, a place of Christian pilgrimage in which there are relics from the tomb of Skif and catacombs containing mummified Orthodox monks.